Falling in love at first sight is the easy part while remaining in love is hard work. 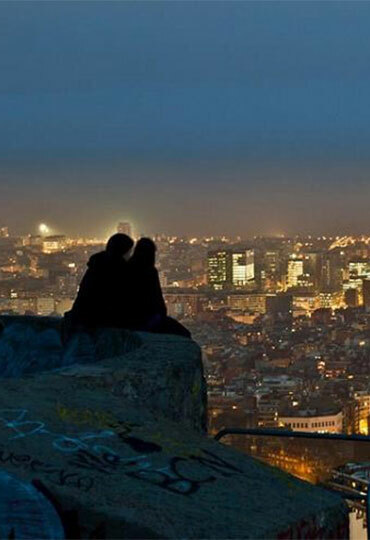 When it comes to Barcelona, eternal love is easy cause its beauty never fades. It’s a city full of surprises, so mapping out a whistle-stop tour of Barcelona’s unmissable sights is no easy task. However, other than the most visited tourist destinations there are always more possibilities and secret joys. Annie worked as a journalist and editor in China’s most influential media organization and now is a freelance writer based in Barcelona. This city is still her favorite after traveling through Europe，as it teaches her to appreciate the little things in life. Possibly, it would be once-in-a-lifetime advendture. 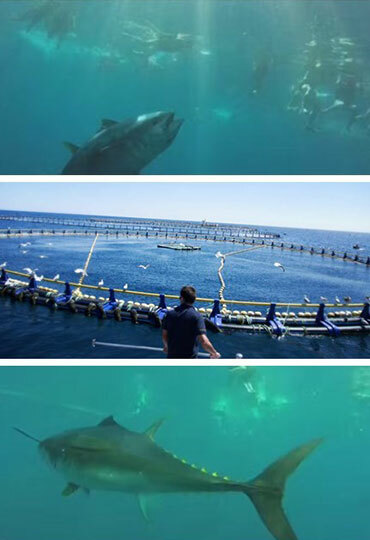 Swim in the middle of the deep blue sea, surrounded by the silent tide, alongside are the largest tuna in the world. You can observe how these big fishes catch their prey just under your feet and experience moments of excitement with all 5 senses. This tuna tour begins at l’Ametlla de Mar port (Tarragona) on board a catamaran. Once you moored at the Balfegó Bluefin Tuna pool, you can observe hundreds of tunas in their natural habitat while feeding them. Check out their website www.tuna-tour.com. The perfertly preserved house was Salvador Dalí's only placed of residence, the place where he normally lived and worked until 1982. It may not be as gobsmacking or argumentative as Dali’s other works, but you can still find lots of his trademarks such as egg-sculptures. 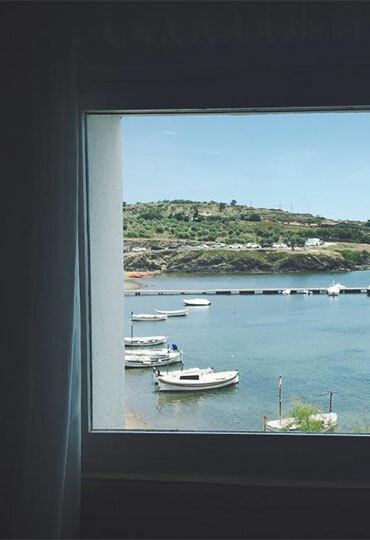 You’ll also discover why Dali said "Portlligat is the place of production, the ideal place for my work” and that he was the first Spanish person to see the sunlight. Make sure you book first. The nearby Cadaques and the Dalí Theatre-Museum in Figures are also excellent places to linger and lounge about. 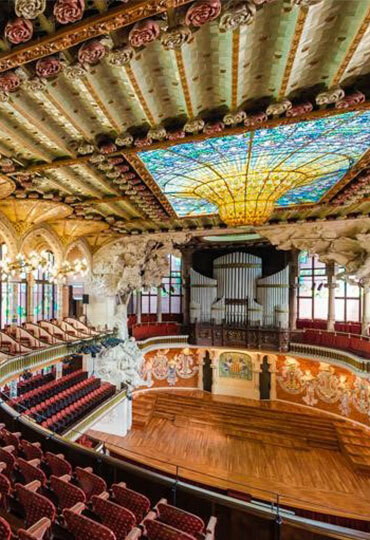 Apart from the Gaudi City’s most famous landmarks, you can also visit this architectural jewel of Catalonia designed by another pioneer of the modernist style, Lluís Domènech i Montaner. It’s the only European concert hall to be illuminated entirely by natural light and hosts regular performances by leading musicians from around the world. You can choose the best way to discover the wonders of this architectural pearl as there is a selection of guided tours. If you want to get an incredible bird’s-eye view of Barcelona or experience a peaceful moment, look no further than the Bunkers. It is located at the top of Turó de la Rovira in the Carmel neighborhood. The formerly antiaircraft warfare and less-known site has become one of the best Barcelona viewpoints. Take a picnic(or order it from picnic!picnic! ), some wine and enjoy a nice break away from the hustle and bustle of the city centre. 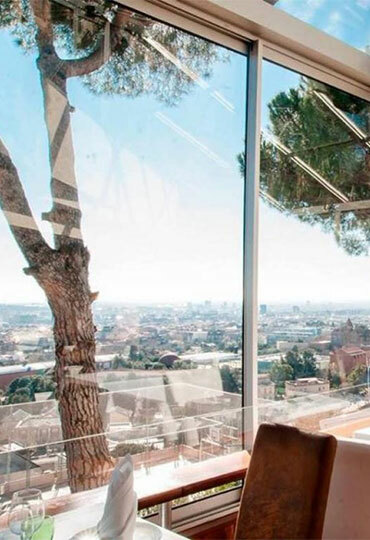 Ps, Other places to take in breathtaking panoramic views: the rooftop bar at Hotel Barceló Raval and Grand Hotel Central. Unmissable tour to the lovers of wine, where you can explore all the aspects of wine. You can visit the winery that is home to one of the Torres family’s most iconic wines, Mas La Plana, which is produced using the best Cabernet Sauvignon vines. 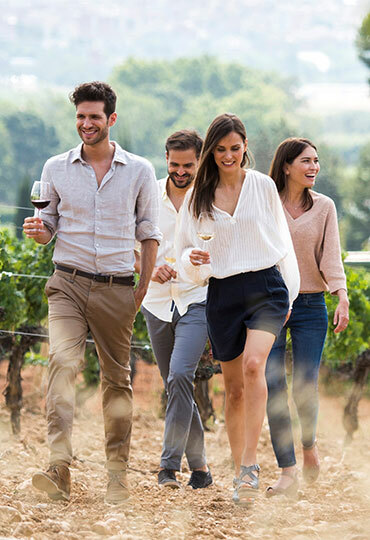 Get a first-hand look at the meticulous wine-making process in a full tour that focus on the vineyards, their surroundings and the history of this family, at last, enjoy the opportunity to taste different wines. A perfect place to take friends or that special someone, especially on a summer evening. As the sun goes down, you can watch how the sky changes its color and how the city reveals its inner beauty. As one of Europe's most iconic theme parks, PortAventura is an ideal destination for a family getaway. Incredible horizontal catapult,76-metres-tall roller coaster, mad barrels that won’t stop spinning and attractions for little ones to make up their own games and adventures……It has everything you need to explore a world of fun. 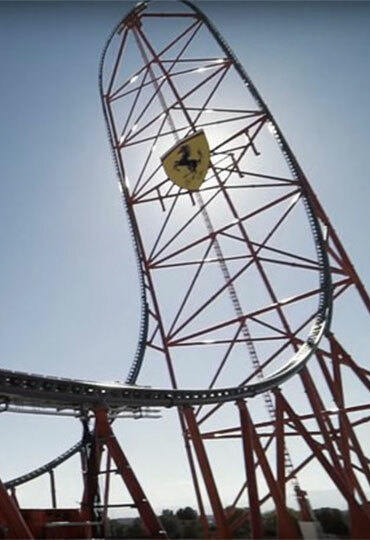 And don’t miss the Ferrari Land Park, where you can feel your heart racing and your passion overflowing. “Flying Dreams” is our favorite and 112 metres high “Red Force” is a must. This is more than an ideal place for shopping, it’s also the best way to experience the lifestyle residents enjoy everyday. You can find more than 130 international luxury brands and receive up to 60% discounts. 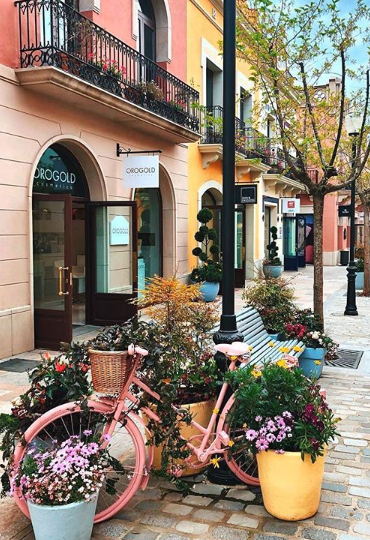 Besides the shops, it is always a joy to walk around and take time to explore-particularly when breezy terraces, on-trend restaurant and children´s parks await along the way. It’s as vital and artistic as La Rambla, yet with fewer tourists ; as luxurious and exclusive as Passeig de Gràcia, yet with more enticing price. Enjoy the good things in life, relax, together with your friends. Come here and live like a Mediterranean goddess.